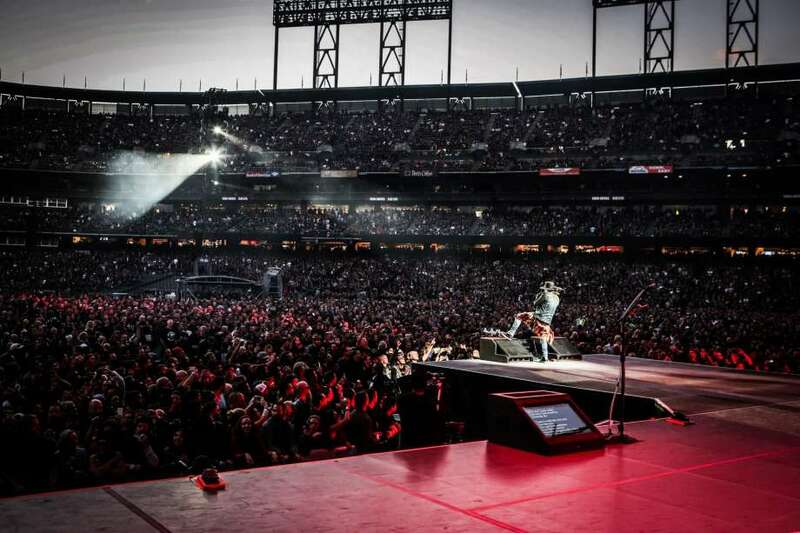 Guns N’ Roses began the final series of six west coast dates on their summer reunion tour on August 9 at AT&T Park in San Francisco, CA. 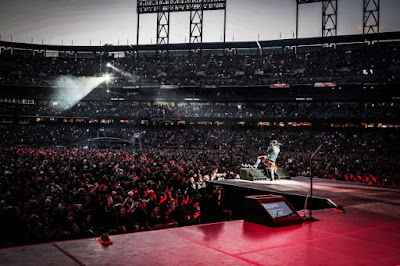 The group apparently couldn’t wait to get things started, as the San Francisco Chronicle reports the first riffs of opening song, "It's So Easy," carried outside of the ballpark 15 minutes before the band's scheduled set time, where hundreds of concertgoers were still lining up to get inside the venue. Men and women in bandanas, ripped T-shirts and studded leather jackets screamed along with the song's lyrics while hustling into their seats as beer tumbled out of their cups. They moved fast: by the time the band played its fourth song, "Welcome To The Jungle," the stadium was packed. The reunited trio of Axl Rose, Slash and Duff McKagan delivered their standard 24-song set with an emphasis on 1987’s “Appetite For Destruction” – the biggest-selling debut album of all time with more than 30 million copies sold worldwide. Guns N’ Roses will next perform at CenturyLink Field in Seattle, WA on August 12 with the summer dates set to wrap up at Qualcomm Stadium in San Diego, CA on August 22.